Melbourne’s Inner South East Region of Melbourne extends from Kew in Melbourn’e inner east to Brighton on port Phillip Bay. The area captures high density residential and retail precincts such as South Yarra as well as quieter residential streets through middle suburbs such as Balwyn, Bentleigh and Black Rock. The Inner South East Metro Region is a desirable residential location with strong retail employment. 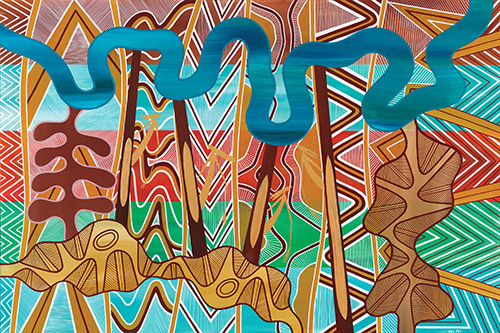 The Inner South East is the traditional home to the Wurundjeri people of the Kulin nation. Upon initial settlement, the inner south east suburbs were some of the first in Melbourne to experience intensive development, with the first land auctions in the Inner South East Metro Region taking place only a few years after those in the Inner Metro Region. By 1860, the expanding railway network serviced Brighton and, by 1906, Melbourne’s first major electrified tram line was in operation between St Kilda and Brighton. The last years of the twentieth century also ushered in a number of developments in the field of tertiary education. The merger between the Chisholm Institute of Technology and Monash University in 1990 created the Monash University Caulfield campus which has grown to more than 17,000 enrolments. Just two years later, Swinburne Technical College was elevated to university status and now has more than 20,000 enrolments. The 2013 opening of the Melbourne Polytechnic Prahran built further on this trend. Today, the Inner South East Metro Region is Melbourne’s second smallest region by area but one of the most prosperous. The region includes the inner suburb LGAs of Stonnington, Glen Eira, and Boroondara, as well coastal Bayside, with its iconic beach boxes and a premier golf course. The high density of heritage-listed structures and gardens, alongside modern universities, retail hubs, and businesses, is a testament to both the long history, and ongoing prosperity of the Inner South East Metro Region.